In direct comparison to the old Ten, of course, there are immediately the beautiful sour fruits. The wine barrels used bring with it very nice notes. Only in too short departure he is a little disappointing. 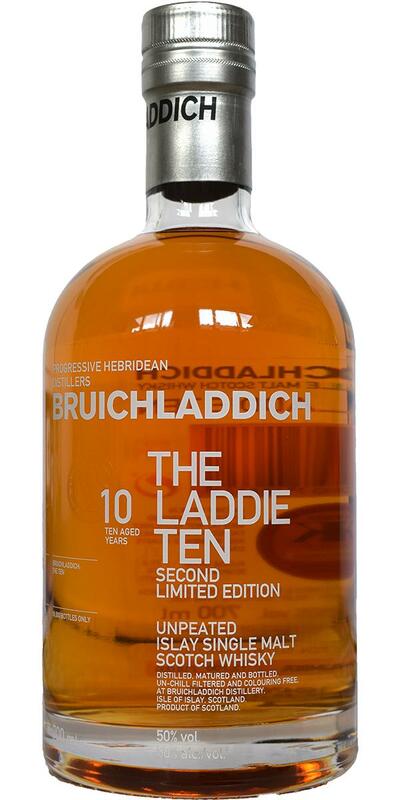 Overall, he is quite equal to the old ten and a worthy successor, who makes a very wonderful everyday dram with his saucy and a fairly fair pricing. Nothing for hypen, but to enjoy! 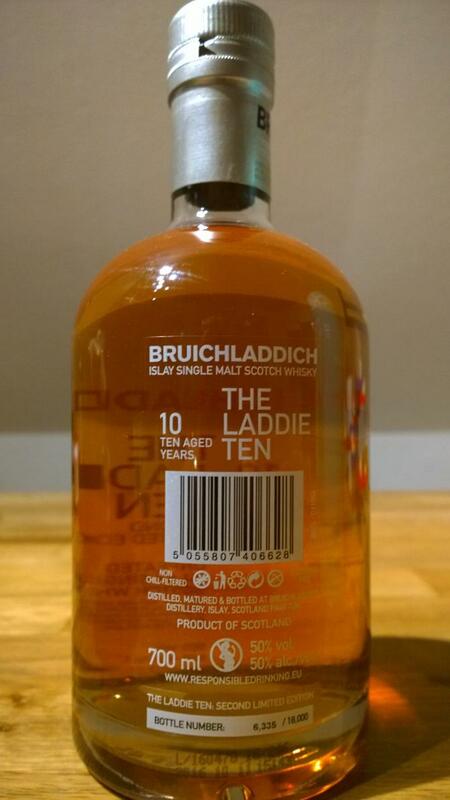 A strong salty leathery-greasy spice, as used by Laddie. Then beautiful juicy citrus fruits - especially lemons and oranges, candied orange peels, gooseberries, fresh green apples, creamy vanilla, malt and freshly mown grain, the oak holds back pretty much, neither American nor European barrels set here really clear accents. No trace of smoke. In the mouth immediately dominates a beautiful malty sweetness with vanilla notes and a wonderful crème-brûlée feeling, then comes here also a rather acidic fruitiness, especially with oranges, the salt comes through well here, you always want to lick your lips. And the oak makes itself noticeable here and shows beautiful dry woody notes. The alcohol is not disturbing at any time. The finish is rather short to medium and I have primarily grassy and malty notes with a hint of oak and fruit. Nose: light and sweet with malt notes, fruits, salt, spices, white fruits, perfume, red apples and duchess pears. Mouth: apples sourness, oak, spices, pears, apples and pears peels. Finish: long, sweet and dry with vanilla, apples, pears, oak, spices and pepper notes. 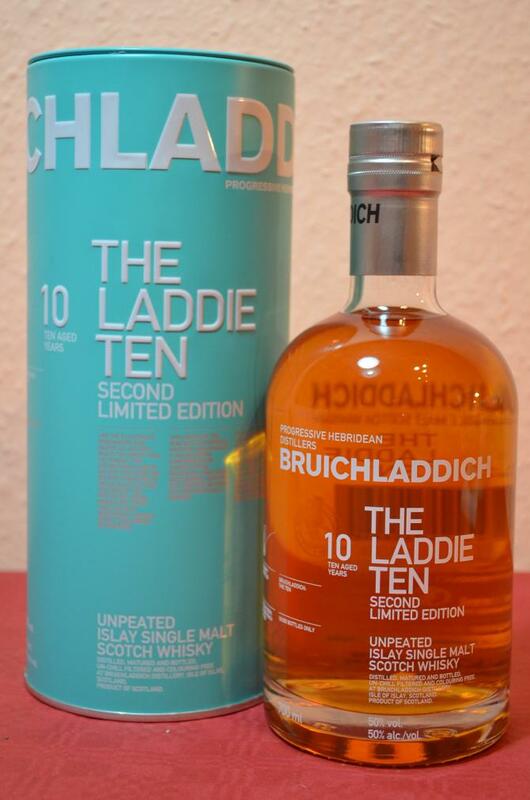 Laddie Ten is a very good balanced tasty whisky. Very deep flavor with rich elements of stewed fruits, spices, malt, milk, raisins and new wood. Taste is smooth and bold, malty with notes of sweet baking products, dried fruits, old butter and cream. Finish is a little bit spicy but still bold with sweet butter elements and cakes. Very tasty and very impressive (but could be more complex and not so spicy).